In January 2017, we informed you that fiduciaries of 12 university retirement plans had recently been hit with lawsuitsalleging defendants breached their fiduciary duties to their 403(b) retirement plans by offering what plaintiffs described as overly expensive, poorly performing funds, and/or by allowing their plans to pay excessive recordkeeping fees. The number of university defendants is at least 19, and includes Brown University, Columbia University, Cornell University, Duke University, Emory University, Georgetown University, George Washington University, The Johns-Hopkins University, Massachusetts Institute of Technology, Northwestern University, New York University (NYU), Princeton University, University of Chicago, University of Pennsylvania, University of Southern California (USC), University of Rochester, Vanderbilt University, Washington University, and Yale University. 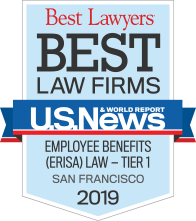 ERISA practitioners and plan fiduciaries have been keeping a close eye on developments in these cases. In recent months, a few significant orders have been issued that provide some insight as to the future of 403(b) plan litigation, while leaving many questions yet unanswered. On July 31, 2018, in the first university plan case to go to trial, NYU prevailed in a lawsuit alleging that its Retirement Plan Committee (“Committee”) mismanaged the university’s retirement plans. After an eight-day non-jury trial during which the parties presented a total of twenty fact witnesses, five expert witnesses and over 600 exhibits, Judge Katherine Forrest of the U.S. District Court of the Southern District of New York ruled, in a 78-page decision, that the Committee did not breach its fiduciary duty. See Sacerdote et al v. New York University, U.S. District Court, Southern District of New York, No. 16-06284. This was not only a victory for NYU; the decision set a precedent sure to be cited by the remaining universities defending their plans. On August 9, 2016, six professors and an instructor (“Plaintiffs”) brought a lawsuit against NYU, alleging that NYU’s benefit plan Committee caused two of its retirement plans (“Plans”) to incur more than $ 358 million in losses. The Committee, which consisted of nine NYU staff members,1 was the Plans’ fiduciary and responsible for selecting service providers — including the record-keepers — and the Plans’ investment lineup. The Committee also engaged an investment advisor, Cammack LaRhette Consulting (”Cammack”), who provided quarterly updates on the Plans’ inves tment options, recordkeeping and other fees, and other financial and fiduciary information. The Committee met approximately every quarter with meetings lasting for about two hours. The two Plans at issue were the NYU Retirement Plan for Members of the Faculty, Professional Research Staff and Administration (“Faculty Plan”) and the NYU School of Medicine Retirement Plan for Members of aculty Plan had 18,551 participants and $2.62 billion in assets, and the Medical Plan had 8,560 participants and $2.02 billion in assets. Unlike 401(k) plans, 403(b) plans may be set up to pay a stream of income at retirement, which can be accomplished through annuities. 403(b) plans are only available to employees of certain non-profit educational, charitable, or religious organizations. Plaintiffs brought numerous claims, including that the Committee provided too many options in the Plans’ lineup causing “decision paralysis” and included funds from expensive share classes. Most of Plaintiffs’ claims were disposed of via pre-trial motions, leaving only two claims to proceed to trial. The first claim involved the Plans’ allegedly excessive recordkeeping fees. Plaintiffs argued that the Committee breached its duty by failing to prudently manage a request-for-proposal process for recordkeepers, failing to allow recordkeeper candidates to propose pricing for each of the Plan’s assets versus only non-annuity assets, and by pre-determining that TIAA, the recordkeeper for the annuity asset, was the favored vendor. The second claim alleged that the Committee was imprudent because it did not remove the TIAA Real Estate Account (“TIAA Account”) and the CREF Stock Account (“CREF Account”) as investment options for the Plans. The Committee allegedly used confusing and inappropriate benchmarks in reviewing these two funds’ performance, which Plaintiffs claimed underperformed. Lack of Knowledge by a Few Committee Members Regarding the Plan and the Plan’s Investment Options Does Not Necessarily Mean That the Committee as a Whole Breached Its Fiduciary Duties. One of the key takeaways from the NYU decision is that although there were alleged deficiencies in the Committee’s process, the Court held that the Committee did not act imprudently and that the Plans did not suffer losses as a result of such deficiency. One Committee member’s lack of knowledge did not automatically condemn the entire Committee. At trial, five current and former committee members testified. The Court found several aspects of the testimony concerning. One of the co-chairs testified that she viewed her role as administrative and she lacked in-depth knowledge of the financial aspects of managing the multi-billion dollar Plans. The other co-chair did not recall the TIAA Account even though it was discussed at several meetings. Another Committee member, when asked about her inability to remember details about the Plans, stated that she has a “big job” in human resources and that serving on the Committee was one of her numerous responsibilities. Still another Committee member testified that he had missed a year and a half of meetings and did not know whether he was, at the time of the trial, a Committee member. Moreover, several Committee members stated that they simply relied on Cammack’s advice. But other Committee members were knowledgeable about the Plans’ investment options, reviewed investment options’ prospectuses and met with portfolio managers at TIAA, and one Committee member testified that she questioned Cammack about its reports and the basis for its views. Plaintiffs Have the Burden to Show That the Breach Led to Plan Losses. Another significant takeaway was the Court’s holding that in order to prevail on a claim of breach of the duty of prudence, Plaintiffs had the dual burden of first showing that NYU failed to engage in a prudent process and then establishing that the Plans suffered a loss that was actually caused by the alleged breach. The Court concluded that Plaintiffs were not able to meet this burden because they were not able to show that the Plans suffered a causally related loss. In particular, the Court did not find Plaintiffs’ experts who opined on the Plans’ alleged damages to be persuasive. Moreover, the Court held that the Committee closely monitored the performance of the Plans’ investment options. It pointed to the evidence showing that the Committee received and reviewed before each quarterly meeting a detailed report regarding each investment option from Cammack. This report included a review of each fund against its benchmark, investment objectives and risk, and expense. The Committee also had a Watch List that it reviewed on a quarterly basis and looked to the investment policy statement for guidance to monitor and analyze each of the funds in the Plans’ lineup. While a Committee May Engage an Expert, Such as an Investment Advisor, It Must Still Exercise Independent Judgment. The Committee engaged Cammack as its investment advisor. Although the Committee relied greatly on Cammack’s reports and advice, the Court noted that Committee members asked Cammack questions regarding its report and advice, including questioning the viability of a metric Cammack used to analyze the funds. The Committee may have rarely deviated from Cammack’s recommendations, but it did on at least one occasion place a fund on the Watch List instead of replacing it as Cammack recommended. The Court held that “[t]his acceptance of Cammack’s recommendations does not mean the Committee improperly deferred to Cammack; it could just as easily mean (and the Court views it as such) that Cammack’s recommendations also happened to be appropriate.” 4 Thus, while a fiduciary may engage an investment advisor to assist it with understanding and assessing a plan’s lineup, the fiduciary is ultimately responsible for the decisions made. Even If Requests for Proposals Are Not Done on a Regular Basis, Negotiating a Lower Fee May Be Sufficient to Show That Fiduciaries Are Carrying Out Their Fiduciary Duties. The Court dismissed Plaintiffs’ recordkeeping claim. First, it rejected Plaintiffs’ argument that the Committee should have issued more frequent requests for proposals (RFP). The Committee issued one RFP in September 2009 which then led to the consolidation of recordkeepers for the Medical Plan in 2013. The Committee did not issue another RFP until 2016 — approximately 7 years later. In rejecting the Plaintiffs’ argument, the Court held that despite the alleged lack of frequency of RFP processes, NYU’s recordkeeping fees consistently decreased as NYU obtained rate reductions. 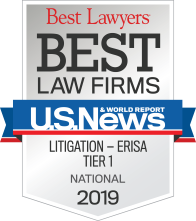 The Court also noted that competitive bidding is not per se required under ERISA but can be an example of an action taken to ensure fees are appropriate. Having Multiple Recordkeepers Does Not, Per Se, Mean the Plan Paid Excessive Recordkeeping Fees. As for Plaintiffs’ argument regarding having more than one record-keeper, the Court rejected the argument, finding that the evidence did not support the assumption that having one record-keeper would reduce the Plans’ fees. The Court specifically noted that three-quarters of the Plans’ assets were made up of TIAA annuities. As a fundamental matter, no other vendor has ever recordkept TIAA annuities on their platform. The Court ruled that “the Committee was not imprudent in preventing Plan participants from being a vendor’s ‘guinea pigs’ for whom it tries recordkeeping TIAA products for the first time.”5 Furthermore, TIAA annuities are insurance policies contracted between TIAA and each individual participant. Unlike other types of investments, the plan sponsor is not a party to the contract. Traditional TIAA annuities are not easily mapped to another type of investment. Indeed, the Court summarizes one expert’s testimony as opining that “TIAA Traditional annuities could not be mapped out.”6 In other words, the majority of NYU participants were invested in funds which NYU could not transfer. The Court also noted that and that university technology system updates made it imprudent for the Committee to consolidate to a single recordkeeper prematurely. The Court noted that the Committee did go through a prudent RFP process and obtained lower fees for the Faculty Plan when it was not possible to consolidate the record-keepers. In fact, the Court held that it was not possible for NYU to transition to one record-keeper until recently. Experts Can Be Key to a Case. Throughout the opinion, the Court highlights the use of experts by both parties. In total there were five experts (three for NYU and two for Plaintiffs). In her opinion, Judge Forrest explained that while she found Defendants’ experts credible, she was not persuaded by Plaintiffs’ experts. In particular, with respect to plaintiffs’ recordkeeping expert, “[t]he Court does not believe that he is a true ‘expert’ on the pricing of the specific products at issue here and he did not demonstrate to the Court that he possesses the requisite qualifications to present relatable opinions on whether NYU’s participants paid reasonable recordkeeping fees.”7 The Court found one expert used an improper benchmark (e.g., Plaintiffs’ expert used a benchmark that was not in place until mid-2011 to cover a period prior to mid-2011); and with respect to the TIAA fund, Plaintiffs’ expert failed to account for this fund’s cash holdings. Ultimately, the Court found Defendants’ experts to be “highly credible” and “knowledgeable, reasonable, and consistent” and looked to these experts’ testimony in rejecting Plaintiffs’ claim that the Committee was imprudent for not removing the CREF and TIAA Accounts from the Plans. Following the Court’s decision, Plaintiffs filed a motion to amend the decision. They seek the removal of two members from the Committee — one of the co-chairs who testified that she did not recall the TIAA Account as an investment option, and the Committee member who said she did not remember details about the Plans because she has a “big job” in her human resources role and that serving on the Committee was simply one of her numerous responsibilities. Plaintiffs also filed a motion to vacate the Court’s decision, asking for a new trial. The Court has scheduled a hearing on these two motions on October 31, 2018. Moreover, Plaintiffs have filed an appeal of the judgment to the United States Court of Appeals for the Second Circuit. This proliferation of university retirement plan litigation is similar to the excessive fees litigation commenced more than a decade ago by plaintiffs’ firms against numerous companies that offered 401(k) plans. The plaintiffs’ firm that commenced the initial 401(k) excessive fee litigation is the same firm that started this wave of 403(b) plan litigation against universities. Since August 2016, several other plaintiffs’ firms have also brought suit on behalf of participants in university plans. Of the nineteen lawsuits that have been filed against universities, fifteen are currently in litigation. Prior to NYU’s victory, courts dismissed claims against the University of Pennsylvania and Northwestern, and the University of Chicago settled the lawsuit brought against its fiduciaries for $6.5 million. We will be providing updates as this wave of litigation continues. 1 The Committee consisted of NYU Vice President of Human Resources, NYU Director of Benefits, NYU Chief Investment Officer, NYU Senior Vice President of Finance, the NYU Langone Medical Center (NYULMC) Controller, NYULMC Senior Vice President of Finance, NYULMC Senior Vice President of Human Resources, the NYULMC Director of Benefits, and the NYU Provost or her/his designees. 2 Sacerdote v. New York Univ., No. 16-CV-6284 (KBF), 2018 WL 3629598, at *2 (S.D.N.Y. July 31, 2018). 7 Id. at *2, n. 19.